Flexible solar panels or rather cells are an innovative solar technology that is largely at the research level currently. They are a lightweight solution to conventional solar panels which are bulky and may often be hard to install. 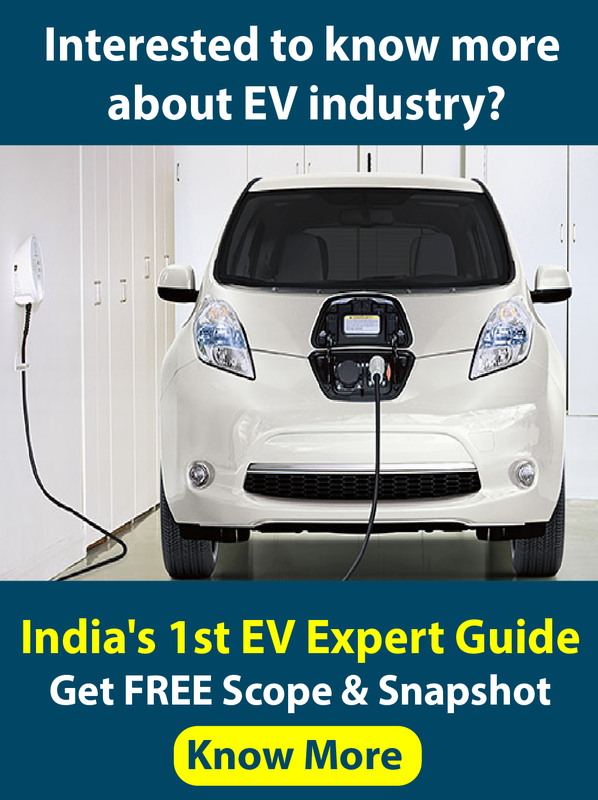 In conventional solar panels, the glass, frame etc. can be costlier than the PV materials used. Flexible solar cells are made by depositing PV material on flexible substrates like paper, which is a much cheaper option than glass. The technology for developing solar cells on paper was developed by a group of researchers from MIT. Due to their flexible nature, they can fit on curved and other complex surfaces. Their reliability and compactness make them suitable for off-grid applications like powering irrigation pumps and portable applications such as mobile charging. 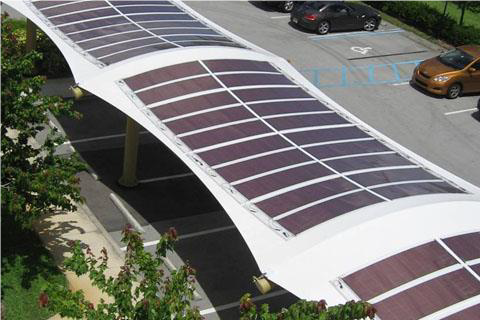 Take a look at some flexible solar panel installations below. 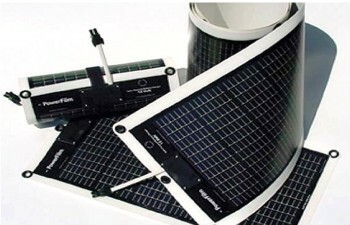 Flexible solar panels offer the following benefits over a traditional solar panel. Some flexible solar panel technologies, due to their ruggedness and versatility, are especially suitable for marine applications on boats and yachts where typical solar panels can be unsafe. There is also an emerging category of ultra-thin film solar panels that you can bend it as much as you can bend a thin sheet of plastic, but these currently have very low efficiency. Such fully flexible thin film solar panels are however widely expected to have significant potential in future, as their efficiency improves. Many flexible panels in the market today can even rival the efficiencies of some conventional solar panels. 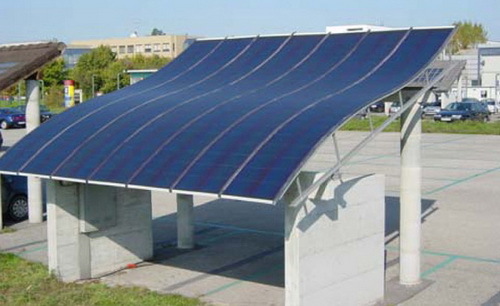 Despite their advantages, the problem faced with flexible panels are that they are likely to get damaged when exposed to outdoor conditions. If technological maturity is achieved along with cost reductions, flexible solar panels can come in handy for numerous applications, even indoors as wallpapers for producing electricity from room lighting. Good read And Great article. 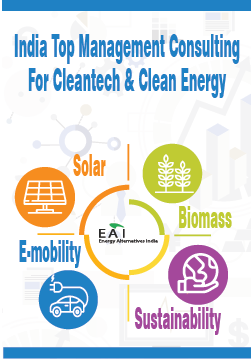 The solar power is the perfect solution for the future.The use of solar power can control the level of pollution, as the process of generating electricity from sunlight cause no pollutants. The solar power is the safest and cleanest energy and helps us sustain the environment.Unlike the non-renewable energy sources, such as coal and petroleum, solar power does not smog or global warming.